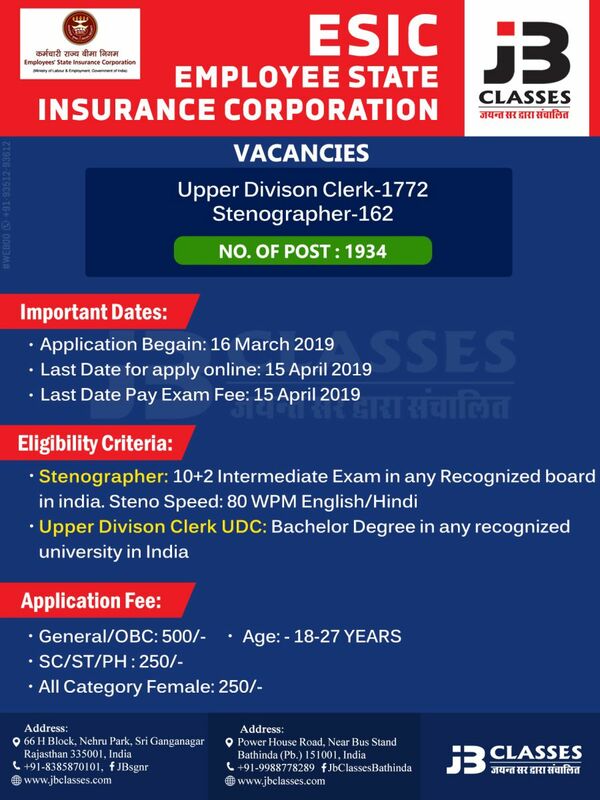 Employees State Insurance Corporation (ESIC), New Delhi has activated the application link for the posts of Stenographer & UDC. Those Candidates who are interested in the vacancy details & completed all eligibility criteria can read the Notification & Apply Online. You can check the detailed notification from the link given below. The Closing Date for submission of Online Application is 15th of April 2019.